Get dirty for goodness sake! St. Christopher’s Crops is now in its twelfth year of providing fresh vegetables to local food pantries. In 2007, as part of our 50th Anniversary celebration, The Rev. Stephen Fales challenged the congregation to take on a significant outreach project to give back to our community. The project selected was a feeding ministry called St. Christopher’s Crops. 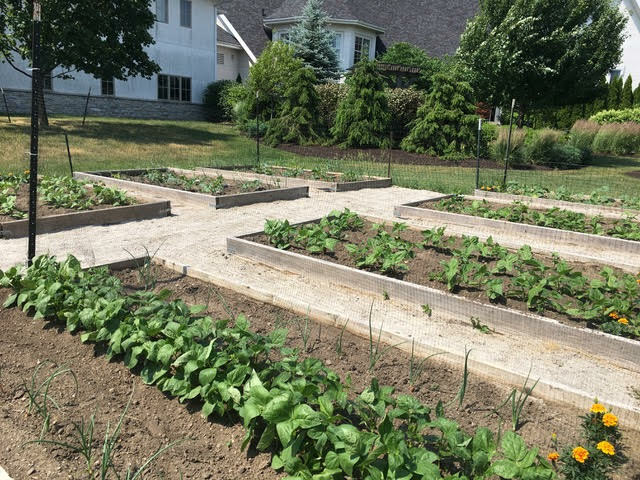 It is a large vegetable garden from which all produce is given to local food pantries. The garden was first planted in the footprint where we would one day build our sanctuary. Rows of beans and tomatoes outlined where pews would sit and a large flower garden occupied the space where the altar would stand. 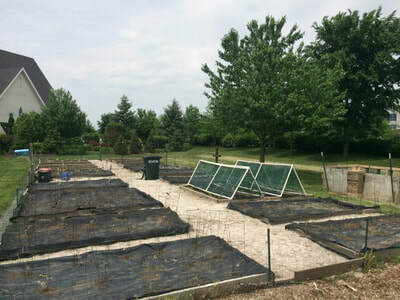 At the end of the 2008 garden season, we broke ground for the new sanctuary and moved the garden to its current location to the east of the sanctuary and memorial garden. 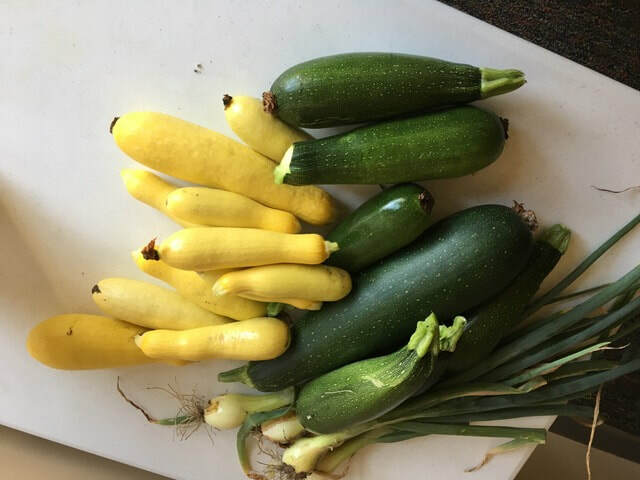 Each year the garden team begins planning the garden during the winter, using feedback from the food pantries on how different vegetables were received by their clients. 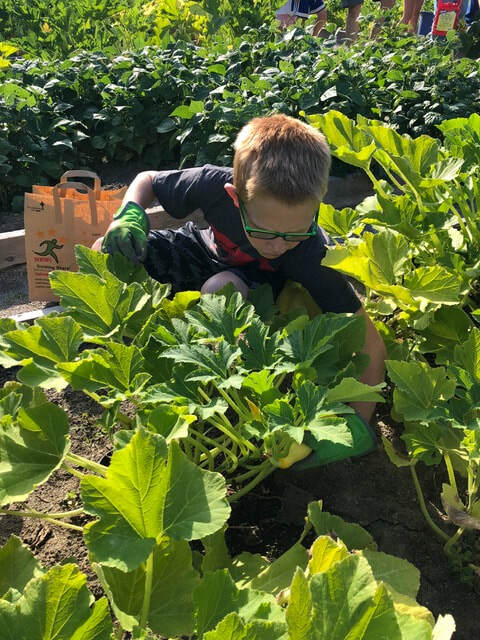 In April volunteers from the congregation and students at the Carmel United Methodist Preschool plant seeds indoors under grow lights to start the plants we will use in the garden. Early in May a workday is planned to prepare the beds for planting and mid-May we bless and plant the garden. 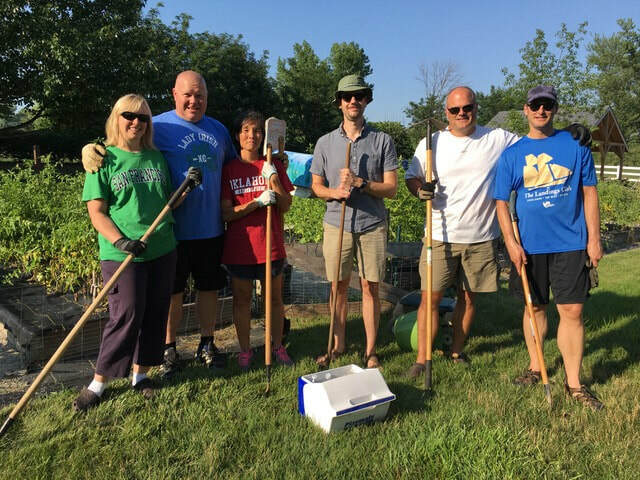 One of the wonderful things about the garden ministry is the wide diversity of people involved. Volunteers of all ages and all levels of gardening experience come together to share experience; learn from one another; and share a laugh or a concern in a beautiful, peaceful setting. We are growing a community as well as vegetables. 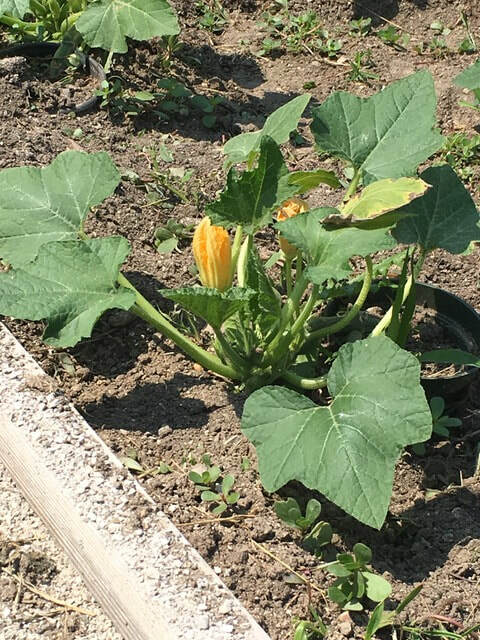 Preparation Day - Saturday, May 4, 9:00 am until finished | This is the time when we clean up all the winter debris from the garden, till the beds, put down weed repellant cloth, put up plant cages for tomato and other vegetables, and build cucumber and bean trellises. If you have a rototiller and/or garden tools, please bring them. Planting Day with Lunch – Sunday, May 19, 11:30 am until finished | Wear your St. Christopher CROPS T-shirt to church so you will be recognized as a member of St. Christopher’s CROPS. We will work in teams using garden planting maps to plant and water our seeds. All work will be on site and you can join the team of your choice when you arrive. Please wear garden gloves. Lunch will be provided. All are invited to this day that begins our garden! We love newcomers! Closing Day – September 28, 9:00 am until finished | This is the day we put the garden to bed until next spring. It marks the end of our growing season as we pull plants, take down cages and trellises and store equipment for the winter season. A full explanation of the work team structure and expectations is available at a link below. 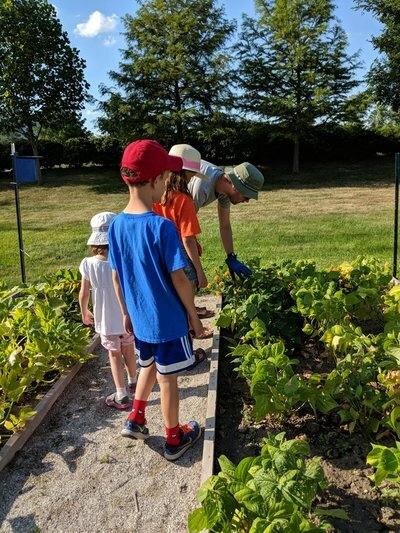 St. Christopher's Crops is a family-friendly ministry and children are welcome when accompanied by an adult who can help them learn through the activity. 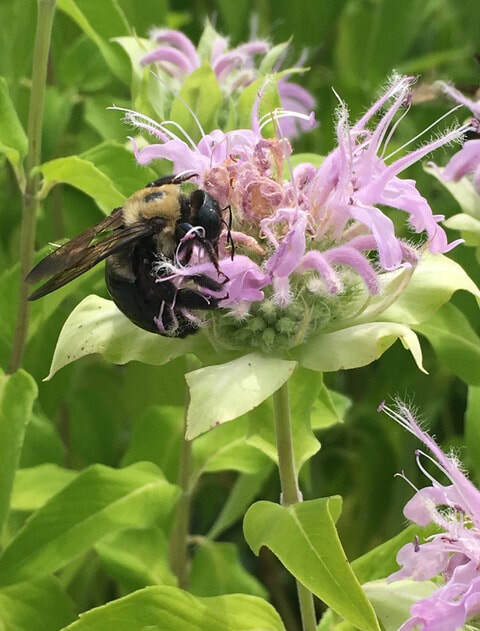 Workdays in the garden will be Wednesdays and/or Saturdays and we will be asking volunteers to join a work team of at least four who will commit to working one day a week for one month. 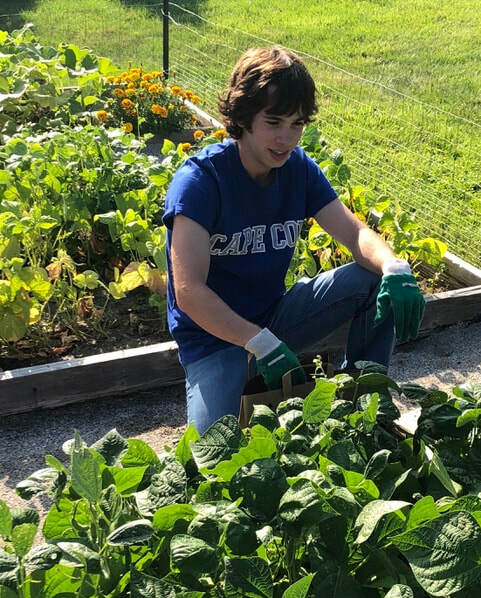 See Garden Crew member responsibilities at the link below. Each work team needs a team leader(s) who will identify what needs to be done during work time. Ideally, a work team will be made up of a leader, two volunteers, and a fourth volunteer to serve as the Distribution Volunteer. The Distribution Volunteer delivers crops to designated food pantries or to our summer food program. This person may or may not work directly in the garden. An overview of the work team and the Distribution Volunteer are included at the links below.